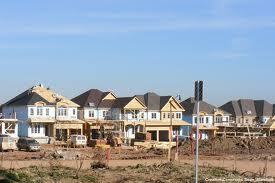 Housing construction picked up in June, providing yet another indication that the housing market is on the mend. A report released today by the U.S. Department of Housing and Urban Development and the U.S. Census Bureau found total housing starts increased 6.9 percent in June from May. At 760,000 the seasonally adjusted annual rate of housing starts also stood 23.6 percent above the 615,000 starts recorded in June 2011. Single-family home starts were up 4.7 percent from May. Builders watch this figure more closely because the volatility that’s typical in the multi-family statistics can skew the data. “While many challenges continue to weigh down the housing recovery – including those related to builders’ and buyers’ access to credit, poor appraisals and the number of distressed properties in certain markets – production of single-family homes is now the strongest it has been since 2010 due to rising consumer demand brought on by improving market conditions,” David Crowe, the chief economist of the National Association of Home Builders, said in a separate statement.